Yanjaa Wintersoul's performance at the 2017 World Memory Championships is detailed in "Memory Games," a new documentary. 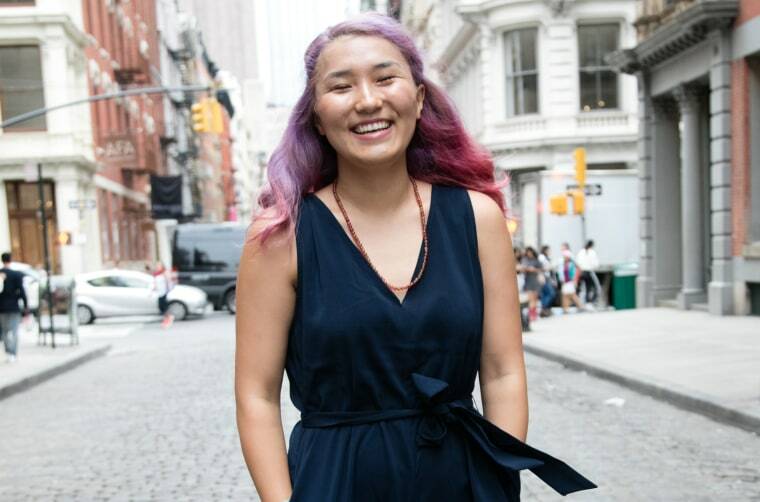 As a teen who occasionally struggled in school, Yanjaa Wintersoul never imagined she’d one day gain recognition for having one of the best memories in the world. Wintersoul’s life and academic career would change in college, when she picked up Joshua Foer’s bestselling book “Moonwalking With Einstein.” The book details techniques ordinary people can use to strengthen their memories and delves into the science of what makes the human brain tick. Reading the book was a revelation for Wintersoul, who began using memorization rules to study for her degree at Stockholm Business School. She would finish in just two years, graduating in 2015. Wintersoul’s journey is detailed in the documentary “Memory Games,” which made its world debut Sunday at the DOC NYC film festival. The film follows Wintersoul and three other competitors as they prepare for the 2017 World Memory Championships in Jakarta. At that competition, she would take home the gold in the names and faces category, which has competitors identify people in photos after a period of memorization. Her ability to easily remember complex concepts and scenes is a far cry from her struggles to recall math and physics formulas as an adolescent. Wintersoul attributes the difference between her academic performance in high school and college is solely due to the use of memory techniques. The key to remembering names and faces, according to Wintersoul, is to teach your brain how to make associations with objects and places that you are already familiar with. “Most of us think we're terrible at remembering people's names, when we really didn't hear what they said in the first place,” she said. “The basic process is just about linking what you do know with what you don't know." For example, let’s say you meet someone new named Rose. Wintersoul said the best way to remember Rose’s name is to begin connecting it to other things: Does her perfume smell like roses? Does she look like Rose McGowan or the main character of ‘Titanic’? “You’re just trying to build these thought bridges between whatever you know and what you want to know,” Wintersoul said. Wintersoul also credits a childhood growing up in different countries and cultures as a key part of her ability to remember and adapt to new things. Born in Mongolia, Wintersoul moved to Stockholm with her family at the age of five and would later move again to Kenya, where she attended high school. As a young child, Swedish was a mystery to her. She did, committing 328 pages of about 5000 products to memory. While Wintersoul cannot remember every single item in the catalogue a year later, she noted that she does remember a good deal of it, particularly the pages featuring families and children. Making things emotionally compelling is a key part of creating a lasting memory — and something Wintersoul believes more schools and educators should be focusing on as they develop curriculum for children and high schoolers.